Tap Rack Full Size Light (TRFSL) or Tap Rack Compact Size Light are the holster for weapons which have a barrel length of 3 inches or longer. 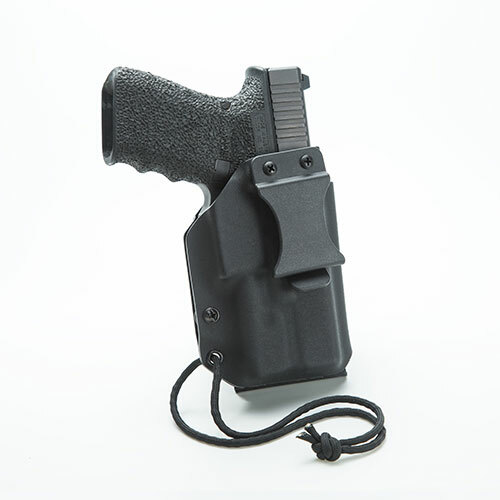 The TRFSL or TRCSL holster are molded with .080 Kydex and we offer a wide range of color options. 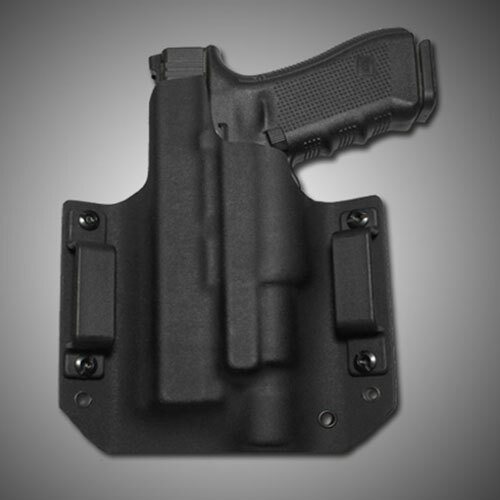 Mold injected full size belt loops comes standard with the holster, which accommodate belts from 1.5″ to 2″ or MOLLE connector. 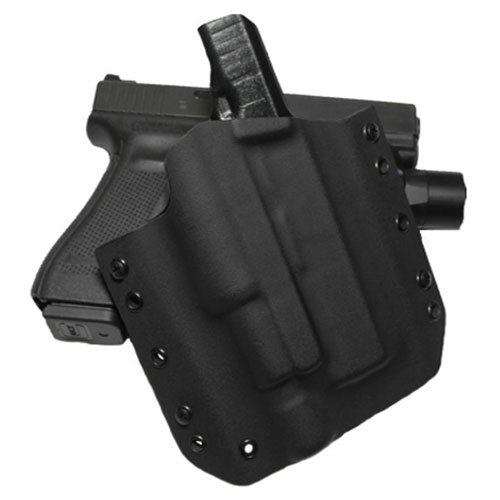 The holster is hand made to sit snug to the body for comfort and concealment. If you do not see your Make or Model of your pistol, please contact us directly with your specifications. Just arrived today 03/21/2015 for my Colt M45A1 with Stramlight TLR1, This is a awesome holster, fit is perfect, firearm does not fallout when upside down !! !, it’s thick unlike a few others I have looked at. Other companies couldn’t make one for the M45A1 but Tap Rack did. I put the holster on and placed the Colt in it and the Pony feels light on the hip. Can’t wait for July 11 to get here so I can give it a good run at a Gunsite 250 glass. 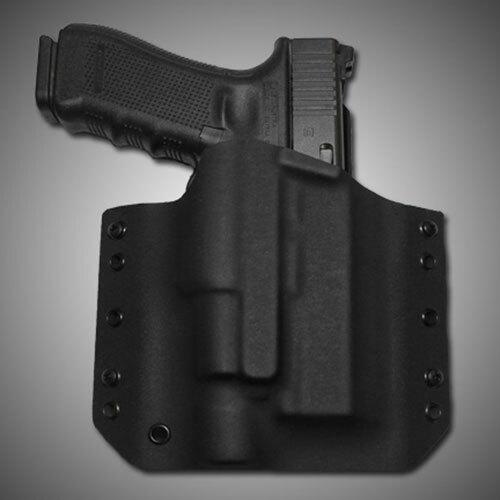 I will be ordering a few more holsters and mag holsters from Tap Rack. Thank you Tap Rack one happy customer in Va. 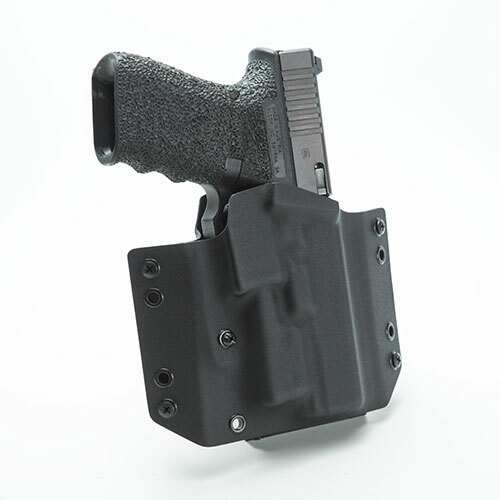 I went with this company because other big kydex companies were no longer offering a holster in the configuration I need (1911 + TLR-1). So I found this company and I ordered a new holster for my Long Beach Operator with a TLR-1 on a Saturday. I called the following Tuesday and I learned TR had just got done with the mold and were shipping it the next day. I received the holster and a double mag pouch on Friday. This company was very quick to make my holster. After I received the holster, I inserted my 1911 in and the fit and retention was absolutely perfect. Both products looks great. TR also stamped their company’s name and “Made in 🇺🇸“ on the back side, which looks awesome! 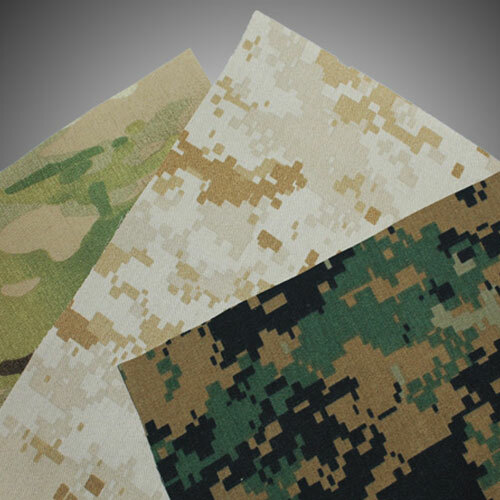 Great company and veteran owned!! I will definitely order from this company again. Semper Fidelis!